The school is affiliated to CBSE New Delhi. it follows and administers the curriculum prescribed by NCERT and CBSE. It tries to fulfill the objectives and the aims of education stated in National Curriculum Framework. Besides the school fulfill s the needs of each individual taking into consideration the multiple intelligence theory. We believe each child is unique and has his/her own learning abilities. We respect the inborn potentials of the child and have educational programmers and co-curricular activities to nurture their abilities. CBSE Class X: 84 students appeared for Board exams in 2018. The school has secured 100% results. Management & staff congratulate all the students. The year 2018-19 began with an emphasising Teacher Empowerment Programme. A five day Teacher Orientation Programme was organised by the EMC, Police Public School from 25/5/18 - 30/5/18. This year the programme focussed on micro levels of teaching covering strong & much needful topics like Unit planning, Learner's style content analysis & Ethical Leadership. The teachers were provided with hands on experience in the making of teaching aids, preparing unit plans, delivering of lessons, group activity, exploring various genre of writing in languages, creative thinking, creative writing and many more. Experienced subject experts in English/ Kannada, Maths, Phy/Chem/Bio, Hindi & Social Science enriched the teacher fraternity. All in all the teachers were empowered with intense professional as well as personal development to carry forward to posterity. About 70 teachers were beneficiaries of this 5 day Orientation program organised by the PPS management. nurturing & grooming by experienced staff and attendants exclusively for the nursery, tempts parents to admit their children to Nursery. INTER-HOUSE ENGLISH DEBATE COMPETITION AT POLICE PUBLIC SCHOOL: Inter house English Debate competition was held in Police Public School on 16 th July 2018 for intermediate and senior level. The topic chosen for the debate was Plastic-A Blessing In Disguise To Mankind. The judges for the day were Mr. Brian Caszo , faculty member of English, St Francis School, Koramangala and Mrs. Deepa Rajeev, former Vice-Principal, Amar Jyoti Public School, K. R . Puram. The participants of the four houses namely, Medha, Shradha, Karuna and Pragna were armed with data and statistics in presenting their arguments. They displayed enthusiasm, confidence, oratory skills and a deep understanding of the topic. The debate was highly appreciated by the audience.The highlight of the debate was the rebuttal round. The judges adjudged Poorvi( class VI ) of Medha house and Hiya.K (class X) of Shraddha house as the winners of intermediate and high school categories respectively . Speaking on the occasion, the judges praised the participants and the school management for designing such an innovative topic which was very relevant in today's scenario.The Principal, Smt. B Nanda and the Vice-Principal Smt. Uma Bangadi graced the momentous day. Vote of thanks was proposed by Smt. Thanuja Sunder, head mistress. The day concluded on a joyous note. In collaboration with Spastics Society of Karnataka, PPS has ventured forward to tackle issues related to behaviour, academics, intelligence and learning in the children . Imparting the guidance and support derived through two teachers orientation programme at SSK, a road plan has been developed to uplift and empower those children who need extra care, guidance and support. Besides redressing the children's difficulties and disabilities, the teachers of PPS have developed pretty sound knowledge about causes, symptoms and solutions to Dyslexia, Dysgraphia and Dyscalculia. Teachers are also empowered to redress writing and spelling problems. The parents of all classes are also enlightened through class specific Parent Orientation Programmes by Mrs Rukmini Krishna Swamy, Director, SSK and her team. The institution has developed an exclusive and elaborate action plan to cater to the requirements of class IX and X children seeking extra attention by executing a detailed assessment involving diagnosis and remedial action by the professionals-education experts/special educationists/ doctors- from SSK. Hoping for a fruitful journey. Cartoon Day: Cartoons are an essential part of every childhood. They are the most popular entertainment for children and much more than that. Cartoon Day was celebrated in the Kindergarten on 27th July 2018. The classrooms and soft boards were ornated with kids' favourite cartoons. The day was filled with interesting activities. The Nursery and the LKG had collage work of cartoons and the UKG had a group activity of colouring the cartoon characters. Children brought their cartoon toys which were displayed in their classes. The tiny tots of Nursery, LKG and UKG took home badges of cartoons, a head band with a picture of the iconic Doremon and a wrist band with a picture of Hello Kitty respectively to reminisce the exciting day. The Cartoon Day was a day to rejoice. It bonded the kids well and brought out the best childhood innocence. PPS at Misaal Competition Misaal, Oasis Movement organized a competition for children and youngsters. The competition was conducted to identify the leaders from the society. Oasis believes in understanding intentions, feelings and willingness to work. Students from class IX and X of Police Public School participated in the competition. Out of 57 participants, 22 of them won the competition. The competition consisted of 3 rounds. The first round focused on "Express Yourself"- Essay Competition. The second round comprised of Group Dialogue and the third round covered Project Preparation and Execution. All in all 14 students won. All the meritorious students were awarded with Personality Development books and a certificate each. Creative Art Competition: On account of 72nd Independence Day, Wings Creations, the College of Art, Media & Design had conducted a Creative Art Competition in Police Public School on 13th August 2018 for classes 4 to 6 based on the theme "My Independent India", to ignite patriotism among the students. Students gave wings to their imagination and explored the artistic world and painted the canvas of imaginations. 72nd Independence Day was celebrated on 15th August 2018 at Police Public School. The celebration began with the unfurling of the National Flag followed by the National Salute. Sri Nagalingaiah, KSPS , Commandant 4th Battalion and EMC member and Sri M.V. Ramakrishna Prasad, SP and Assistant Secretary, Police Public School were the chief guests for the occasion . Sri Nagalingaiah delivered his speech with reverberated patriotic zeal. The school choir and the students of Class 6, 7 and 8 showcased mellifluous patriotic songs and dance. Speeches in Hindi, Kannada and English were delivered by Akash of Class 7, Spoorthi of Class 7 and Sanjushree of Class 9 respectively about the significance of the historic day. The March Past Platoon headed by Sneha Shinde marched to the beat of the School Band headed by Prajwal and Muskan. Rakshitha of Class 10 B anchored the programme. Tanushree of class 9 administered the Vote of Thanks. The momentous day was witnessed by students, teachers and parents. At the end, sweets were distributed to all. The March Past Platoon and the School Band participated in the District Independence Day Parade at the Manekshaw Parade Ground. 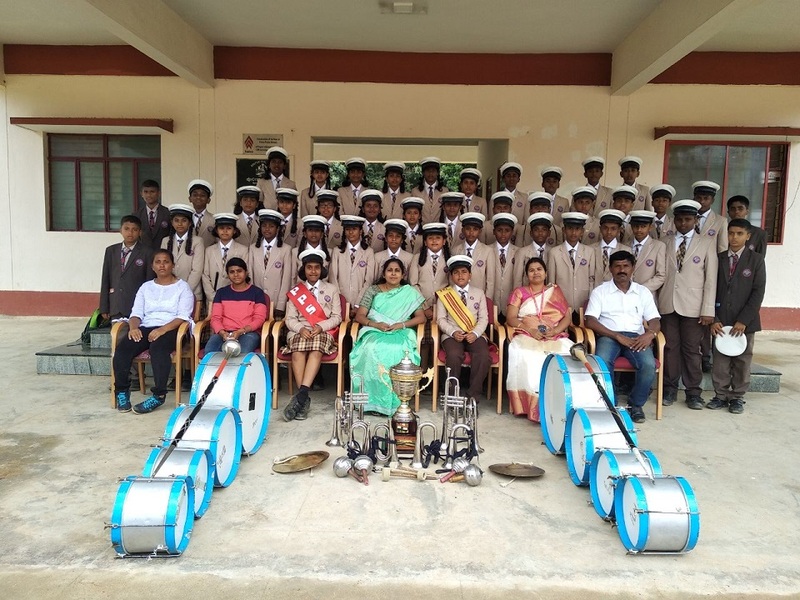 This year our School Band has bagged the 1st place and has brought laurels to the school maintaining the school tradition of winning trophies at Manekshaw Parade ground every year. The Spastic society of Karnataka had conducted a detailed assessment for 19 students of class 10 with learning difficulties on 20-08-18 in the school. 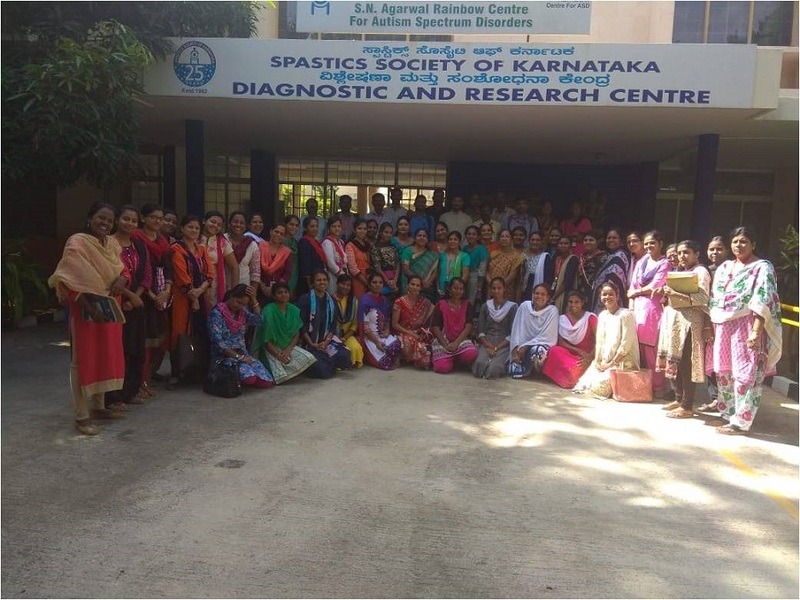 The faculty members of Spastic society of Karnataka Mrs. Vijay Prema, Mrs. Satakshi, Mrs. Kairali and Ms. Nayanna assessed the students on academics using various parameters. 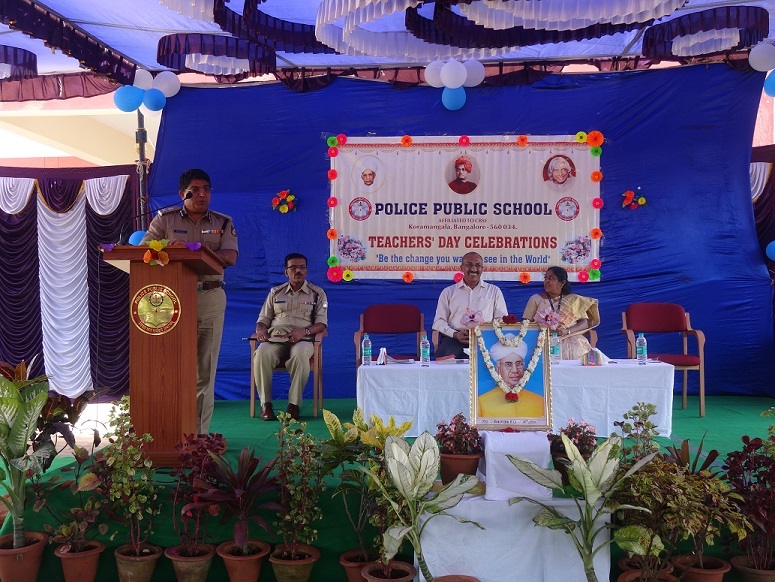 Teachers Day at Police Public School was celebrated with pomp and gaiety on 5 th September 2018. The day started with an invocation by the school choir, followed by the lighting of the lamp by the Chief Guest, Major General K A Muthanna, Sena Medal, Director HR, Trident Automobiles, Bengaluru, Sri Bhaskar Rao, ADGP, KSRP and Chairman of PPS, Sri M V Ramakrishna Prasad, SP and Asst. Secretary of PPS and Principal Smt Nanda. Our Asst. Secretary welcomed the dignitaries and the gathering. Mithun of Class X delivered a speech on the significance of Teachers Day. Our Chief Guest, Major General K A Muthanna was felicitated by Sri. Bhaskar Rao, the Chairman of PPS. The Chief Guest lauded the contribution made by the teachers and for their devotion to the overall development of the students in his speech. Sri Bhaskar Rao spoke about the immense importance of teachers and the role they play in students' lives inspiring them to learn more by encouraging them to move towards success. The Management distributed mementoes to the noble teachers as a token of gratitude. Students of Class IX & X performed a scintillating cultural show of songs, skit and dance to connote their love, respect, gratitude and recognition of their hard work by teachers in moulding their lives and making them wonderful human beings. A quiz was also conducted by the students of Class X for the teachers. The winning team was the 'S Radhakrishnan team'. Prizes were distributed by our Asst. Secretary for the winners of throw ball, kabaddi, bursting the balloon, candle lighting and quiz for the teachers and the supporting staff. Portraits of teachers handling Class X sketched by Muniraju, Sumit and Shashank of Class X were gifted to the teachers. A stupendous lunch was organized by the Management for the teachers. The Principal and the teachers appreciated and applauded the efforts of the students in making the day a cherishable one. Teachers Day celebration was a momentous and a memorable day for the teaching fraternity of PPS. 9th of September was a historic day for the PPS family. 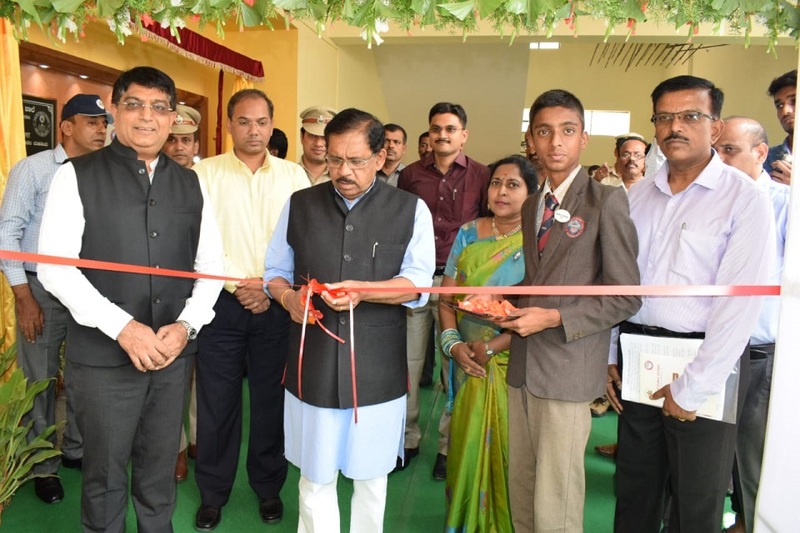 Our Chief Guest, honourable Deputy Chief Minister and Home Minister, Dr. G Parameshwara inaugurated the new block of our school, christened 'Dr. S Radhakrishnan Block' amidst dignitaries Sri Bhaskar Rao, IPS, ADGP, KSRP and Chairman of PPS, Sri Sandeep Patil IPS, DIG, KSRP and Secretary of PPS, Dr.K Thiyagarajan, IPS, KSRP, Commandant 1st Battalion and EMC member, Sri Kuldeep Kumar R Jain, IPS, KSRP, Commandant 9 th Battalion and EMC member, Sri M.V. Ramakrishna Prasad, KSPS, Commandant 3 rd Battalion, DCPs Dr.Boralingaiah, Sri Anup Agarwal and other police officers, Principal and the entire teaching fraternity and students. The Chief Guest received the Guard of Honour given by the 3rd Battalion KSRP. The ceremony started with the unveiling of the plaque, ribbon cutting, and a short tour around the new block. The Chief Guest was a child with the children in one of the new classrooms. The Chief Guest interacted with the students enquiring about their ambitions in life. He also greeted the children by writing 'GOOD MORNING' on the board and conveyed his best wishes to the students for their future endeavours. The purpose and activities of Thots lab, CMCA, and Prep My Skills as part of school programmes were appraised by the students, which the Chief Guest was very impressed of. He appreciated the children for their presentation skills. This was followed by planting of saplings Ficus Benjamina Variegata, Xanthacyparis Vietnamensis and Ficus Benjamina by our esteemed Chief Guest, our Chairman and Secretary of PPS respectively in the school premises to spread the message of importance of trees as well as to reduce deforestation. The formal function commenced with the lighting of the lamp and singing of the State Anthem by the school choir. Sri Bhaskar Rao, IPS, ADGP, KSRP and Chairman of PPS welcomed the Honourable Deputy Chief Minister and Home Minister Dr. G Parameshwara, the dignitaries and the gathering. Sri M. V. Ramakrishna Prasad, KSPS, Commandant 3rd Battalion and Assistant Secretary of PPS presented a brief report about the journey of the school from the inception till date.The Chief Guest was felicitated by Sri Bhaskar Rao, Chairman of PPS. In his speech, the Chief Guest who is also an educationist, appreciated and praised the management for catering education to the children of the police personnel. He spoke about the importance of education in the economic development of the country. He emphasised that education is the basic right of every human being. He also expressed his plans to start Residential Police Schools in every range for the benefit of the children of police personnel. Master M. Balachandra and Master N.K Vishal Korabu, the toppers of 2017-2018 batch were honoured by the Chief Guest for their outstanding performance in the Class X Board Examination. Vote of thanks was delivered by Sri Sandeep Patil, Secretary of PPS. The momentous day culminated with a photo session which will be cherished and hung on the wall of fame in this great institution. A rally was organized by the 3rd Battalion and the students of Class 7,8 9 and 10 in the KSRP Campus to demonstrate social and environmental issues. The students performed mime act to generate awareness about reducing, recycling and reusing plastic by segregating wet, dry and refused waste. Students of class 5 exhibited the 7 steps of hand hygiene to keep away from germs. Students of class 7 and 8 demonstrated an experiment about how smoking is injurious to health. The aim of the programme was to keep the KSRP campus clean and tidy. The rally was an eye catching event that saw participation of all KSRP officials, Smt. Sowmya Reddy, MLA ,Jayanagar, Sri Manish, CMCA member, Mr.Raghu Allam, Rotary Down Town President and Kumari Mangala from Samarthanam were present on this occasion. Mr.C D Prasad, Retired Scientist from ISRO spoke about the plastic is a boon and a bane. We should learn how to utilize plastic without harming the environment. Gandhi Jayanthi was celebrated on 2nd October, 2018 by Police Public School and 3rd Battalion KSRP, to commemorate the 150th birth anniversary of the Father of our Nation and 114th birth anniversary of Sri Lal Bahadur Sastri with great zeal and patriotism at KSRP Welfare Centre premises, 3rd Battalion KSRP Campus. The Chief Guest for the day was Sri Bhaskar Rao, IPS, ADGP, KSRP and Chairman, PPS. Special invitees Dr MC Prakash, Principal, Vidyavardhaka Sangha First Grade College, Bengaluru, Dr Puttaswamy, Writer, Dr Thiyagarajan, IPS, Commandant 1st Battalion KSRP, EMC Member, Smt Nisha James, IPS, Commandant 4th Battalion KSRP, EMC Member, Sri Kuldeep Kumar R Jain, IPS, Commandant 9th Battalion, KSRP, EMC Member, Sri MV Ramakrishna Prasad, Commandant 3rd Battalion, KSRP, Assistant Secretary PPS, Principal Smt. B. Nanda, PPS staff, students and parents graced the auspicious occasion. The programme started with an invocation song by the School Choir, welcome speech by Sri MV Ramakrishna Prasad, followed by floral tribute to the portraits of Mahatma Gandhi and Lal Bahadur Sastri and the lighting of the lamp by the dignitaries. A speech in Kannada was delivered by Harshitha of class 8 on the significance of the day. Dr. MC Prakash and Dr. Puttaswamy addressed the gathering by sharing the philosophical and pragmatic ideals of Gandhiji and Lal Bahadur Sastri. The students paid a tribute to Bapu through a skit about the path of ahimsa and non- violence Gandhiji chose to fight against the British, a mesmerizing dance depicting 'Unity in Diversity' and scripture reading from the Bhagwad Gita, the Bible and the Quran and interpretation of the same. The cultural activities spread Gandhiji's messages and his beliefs. Gandhi's favourite bhajans were rendered by Sri Shanmukhaya and troupe. Teju Surya of class 6 who impersonated Bapu touched everyone's heart. The Presidential address was delivered by Sri Bhaskar Rao. The splendid day was concluded with the vote of thanks by Smt B Nanda, Principal PPS, followed by distribution of sweets to the gathering. The celebration ignited a patriotic fervour in all of us. In continuation of Gandhi Jayanthi Celebration, a Kannada drama-'Papu Gandhi, Gandhi Bapu' by Ranjitha and team and a magic show by Professor Raj were organized at the KSRP welfare premises on 3rd October. A huge crowd flocked to watch the drama as well as the magic show. Police Public School hosted BSSC (Bangalore Sahodaya School Complex ) - Annual Inter School Sports Competition Kho-Kho Tournament (Girls) South Zone on 27/10/18. 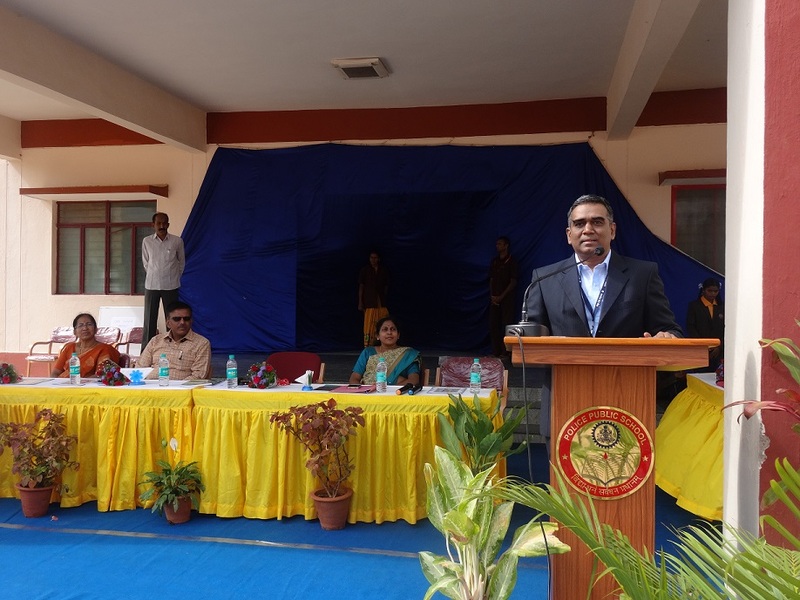 The Chief Guest for the inaugural ceremony was Dr. M. B. Boralingaiah IPS, DCP, South East. Sri. M. V. Rama Krishna Prasad, Commandant, 3rd Battalion, KSRP was the special invitee for the event. As many as 17 schools from across Bangalore South Zone participated in the various categories of Under 12, 14 & 16. Chitrakoota School bagged the winner's trophy, while Police Public School was the runners up in the Under-16 category. The winners were awarded with trophies, medals and certificates in the respective categories by Mr. Deshraj Rai, during the valedictory ceremony. PPS boys were runners up in the Under-14 category, and second runners up in the Under-16 category in the Annual Inter School Kabbadi Tournament held under BSSC banner at DPS on 29/10/2018. Kannada Rajyotsava was celebrated in PPS with great enthusiasm. The day began with the hoisting of flag by our Principal Smt. B. Nanda. The State anthem was recited by our school choir. The Kannada Dept., and the students staged various activities like rendering Nadageete, poems and songs glorifying the beauty and rich culture of Karnataka. Dance performance and short speeches were delivered to promote the significance of the day. Educational tour provides an opportunity for students to enrich their knowledge, explore & research much more than they could have it in classroom. The school organised educational trips from classes LKG to Class X in the month of November. 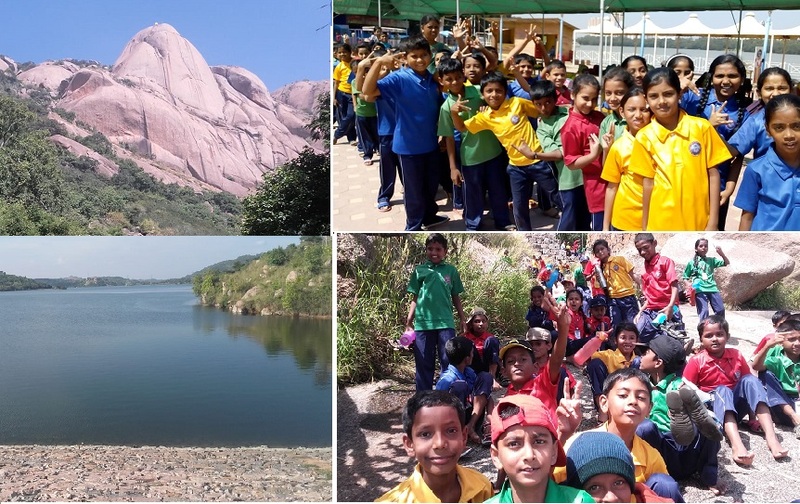 Classes 4 & 5 visited Savandurga, Manchanabele Dam and the Big Banyan tree on 5/11/18. Children had a adventurous trip climbing hills, had knowledge about a multipurpose dam & Big Banyan tree. The students of Class 1, 2 & 3 and the pre-primary consisting of LKG & UKG were taken to Lumbini Gardens on 9/11/18 & 15/11/18 respectively. 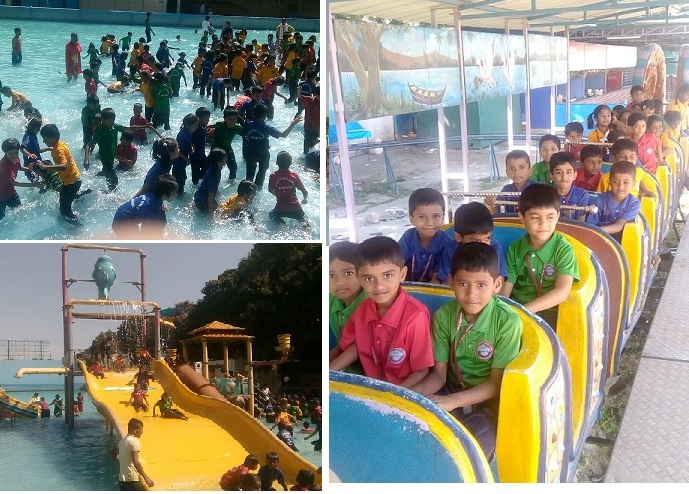 Children enjoyed games and playing in the pool. On 12/11/18, Classes 6, 7 & 8 visited Janapada Loka, Kanva Dam & Ramdevara Betta. Children had real life experiences of folk culture of Karnataka and water reservoir. They also had an awesome time climbing the hills. A 3 day educational tour was organised for classes 9 & 10 to Mangalore, Manipal & Udupi. The tour was very interesting and informative. During the 3 day tour, students visited Majarabad Fort, built by Tipu Sultan which is of historical importance. Children sought blessings of Dharmasthala, Manjunatha Temple, Sri Ram & Sri Krishna Temple (Udupi). 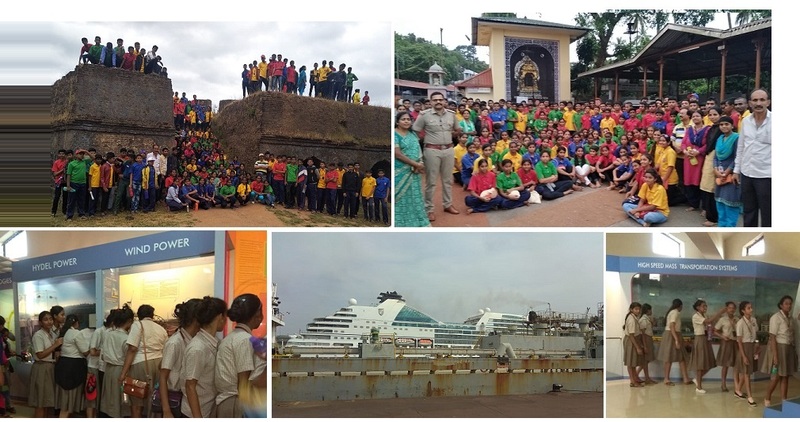 At Mangalore Port, students viewed the ships and the handling of cargo. It was amazing for them to learn trade and transactions that happened through this port. 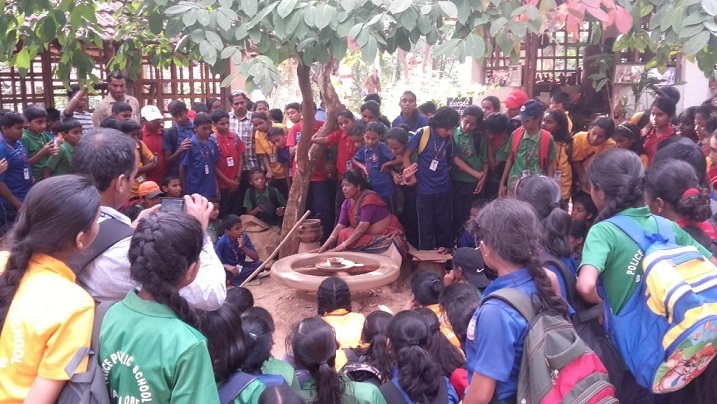 The students were exuberant and gained immense knowledge about science & research at Pilikula Nisargadama, which was a feast to the eyes as it offers scenic beauty and many attractions of cultural, educational and scientific interest. The children had an opportunity to enrich their knowledge at Swami Vivekananda Planetarium which is the first 3D Planetarium in India. Children enjoyed playing at the Malpe Beach in Mangalore. 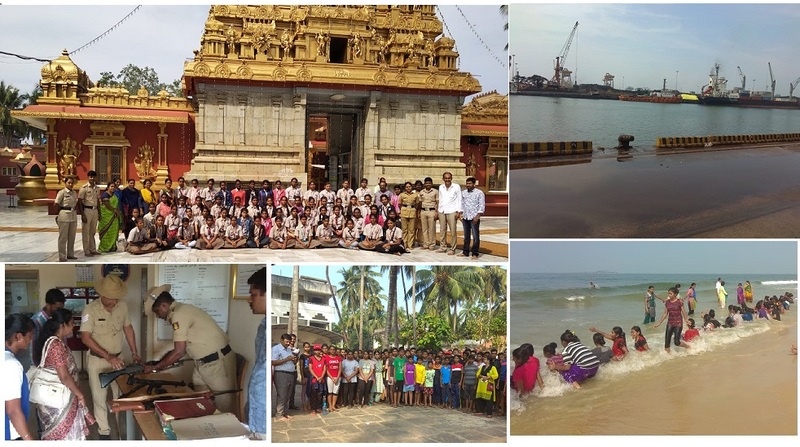 Visits to Coastal Security, helped students acquire knowledge about security and operations done by Coastal Police. The sprawling Manipal Museum of Anatomy & Pathology which houses well preserved specimens of animals and human body from head to toe was an amazing experience as students were soaked in knowledge and created curiosity among them. The trips were the most memorable and enriching moments for the students. Krishi Mela is an annual affair at GandhiKrishi Vignana Kendra(GKVK), Bengaluru. This year it was conducted from November 15-18, 2018. This year main focus was on Auxillary Technologies to enhance agricultural income. On 15/11/2018, Class 8 students visited this Krishi Mela along with staff members Harika, Lakshmi, Suresh Bhatt H R & Uma Bangadi. This exhibition was inaugurated by the Karnataka Governor, His Excellency Vaju Bhai Wala. This event provides participants a platform to display or sell their products. The key attractions of the event were Agricultural Engineering & Animal Husbandry. Shabana Multani, a former student of PPS and students of GKVK took over our students around the exhibition. They visited fields growing various millets, soya bean, sesame, sunflower, fodder crops and leafy vegetables. Students also got information on Apiary and the drones. Now drones are used for spraying fertilizers, pesticides etc. They also visited Agricultural engineering section where various agricultural implements and machines were on display. The other attraction of the fair was Animal Husbandry where students saw different breeds of poultry, hen, sheep, goat, bull, rabbits etc. Finally students visited stalls put up by State/ Central Government & other participants. Some of the stalls sold health products like millets, honey, other organic products, seeds of various crops, sapling etc. It was a very educative field trip for the students as they had hands on experience. A campaign is a series of organised activities which create ripples of awareness, encourage change in attitudes, behaviour and practices that in turn contributes towards common good. CMCA students conduct campaigns on diverse topics related to civic sense, environment, celebrating eco-friendly festivals, the rights and responsibilities of a citizen, active citizenship, democracy, local government and so on. Classroom sessions alone may not translate to change of attitude. Campaigns enable children to take what they have learnt in CMCA sessions and create ripples of change in their immediate surrounding i.e. among their friends, family and their neighbourhood. Based on an activity in class, the club launch was a 4-day thematic event which included displaying teaser posters, playing fun games, and conducting a campaign during the assembly which highlighted some of the challenges faced by a developing nation like ours through an activity that required the participation of the students who attended the programme. The CMCA members spoke about India,its development and failures to other students. They shared information about CMCA as well during the programme. The club members enjoyed conducting the programmes as they were asked to handle different aspects and work effectively in groups. 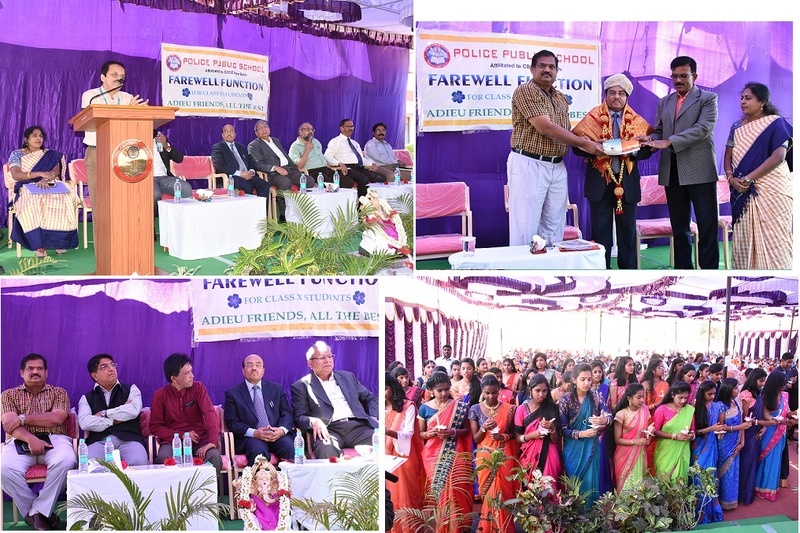 The annual day function of Police Public School, Bangalore was organized on 22nd December 2018 with great enthusiasm in the school premises. The entire school participated whole heartedly towards the success of this grand event. The Chief Guest for the event was Sri. Bhaskar Rao, IPS, ADGP, KSRP, and Chairman, PPS. The other dignitaries present were Sri. N. Satishkumar IPS, DIG KSRP and Secretary PPS, Sri. M.V. Ramakrishna Prasad, Commandant, 3rd Bn. KSRP & Asst. Secretary, PPS, Sri. Kuldeep Kumar R. Jain, Commandant 1st & 9th Bn. KSRP, Smt. Manjula Devi M.N., Founder Principal, PPS. The Asst. Secretary, the Principal and the students of PPS greeted the dignitaries and escorted them to the dias. The function began at 5.00 p.m. with an invocation song sung by the school choir. This was followed by the welcome speech delivered by Ms. Rakshitha B.S. the Head Girl. Principal Mrs. B. Nanda extended a warm welcome to the dignitaries and presented the annual report showcasing the achievements and progress of the school in the academic year 2018-19. The prize distribution ceremony was a moment of pride and honour for all the winners and achievers of school who have made the school proud with their commendable performances not only in the academic field but also in the co-curricular activities. The Chief Guest, Sri. 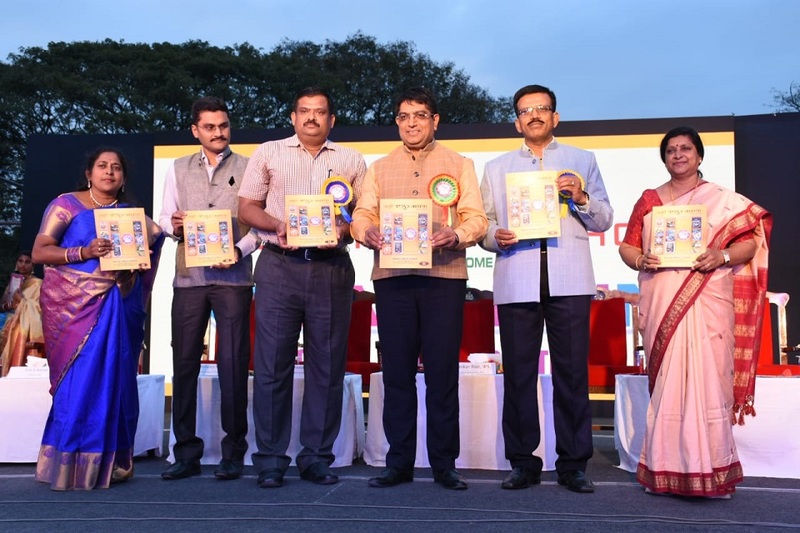 Bhaskar Rao, IPS, ADGP, KSRP, and Chairman, PPS released the 11th edition of the school magazine "Jagruthi" of the academic year 2018-19. In his formal address, the Chief Guest praised the endeavours of the school and highlighted the necessity of promoting creative talent in each child for the overall development of young leaders. The vote of thanks was proposed by Ms. Hiya Khinvasara of XB. The evening was made more colourful with the Cultural Show - 'Kalaranjini', which was a mix of tradition, culture, drama and dance themed on vibrant props. Every class gave performances with grace and style. The event concluded with a grand finale celebration. The students looked colourful and bubbling with energy to encompass everyone in their Annual Day celebration. It was indeed a spectacular display of talent and fervour. Class 7 visited a Survey & Map Exhibition organised by Survey of India on the theme "Science for the people and the people for science". Class 8 visited an exhibition organised by Nimhans, which showcased activities on basic, neuro and behavioural sciences. Four students from Class 6 along with Mr. Suresh Bhatt, Academic Coordinator & Math teacher attended a one day workshop at Jawaharlal Nehru Planetarium to recall the significance of the day. The farewell-JYOTHIRDAAN Ceremony for the outgoing batch 2018-19, class 10th was held on February 2019.The solemn occasion was a special red-lettered day for students, parents and teachers alike. The day sparked hope for future, inviting the students to dream big. It was a day of rejoicing, for it marked the conclusion of one educational journey and commencement of another exciting quest. Prof. S.K. Nandy - Senior Professor, IISc. The chief guest for the farewell was Shri Gururaj Karjagi- Director of Creative Arts Academy. Along with him, were Shri. Bhaskar Rao, ADGP KSRP & Chairman of PPS; Newly appointed Secretary of PPS, Shri N. Satishkumar IPS, DIG KSRP. After the customary invocation of lighting of the lamp; the graduating students received the light from the Chief Guest. It was a moment of added charm to the atmosphere- a sense of achievement. The passing of the light of knowledge was a significant moment. The students took an oath to uphold the ethics and values learnt at school, for the rest of their lives. The boys looked resplendent- dazzling in their outfits, while the girls were not far behind - they looked gorgeous in their elegant sarees. The chief guest in his speech emphasized the importance of education and the value learnt at the school to be carried forward in life. He also said that everyone can achieve the pinnacle of success with a positive frame of mind. 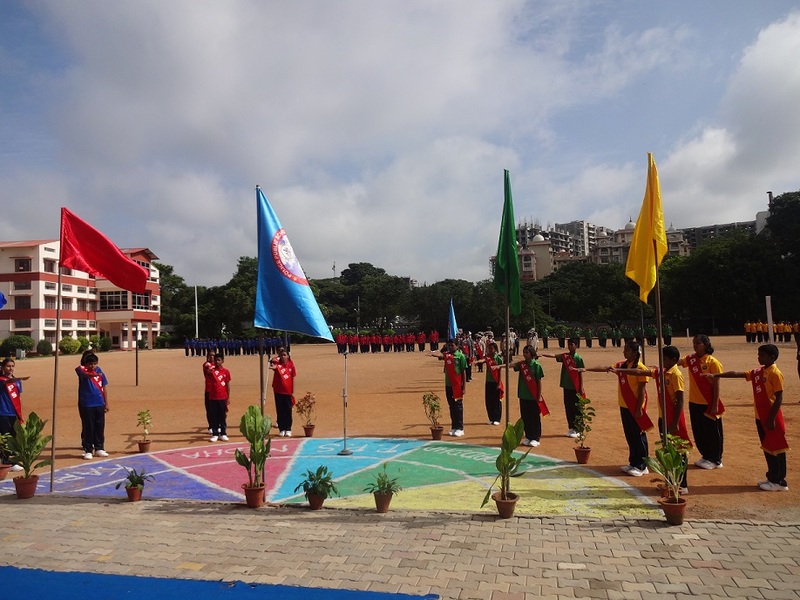 On 5th march 2019, during the school assembly, the Karnataka State Fire and Emergency Service were invited to demonstrate their skills and techniques in cooling and blanketing out the fire at the Police Public school ground. At the very outset, the fire officer Shri Bhavani Shankar and his team very enthusiastically explained the causes of fire in an elaborate way. He made reference to the ABC categories and cautioned the students making reference to the causes of fire. Later a mock demo to put off fire was put into action. His team demonstrated the different techniques to spray the stream of water. The students applauded for their valour and risk taking profession. Mrs.Vyshali and Harika attended the orientation programme held by J.N. Planetarium on 22-06-2017. All these workshops sure paved way to all the teachers to become effective teachers and attain the desired objective/learning outcomes. Besides this they can also make learning a joyful experience. XSeed orientation programme for nursery teachers and Prep My Skills Orientation Programme for Computer science teachers was also organized. World Environment Day: 5th June 2017, was celebrated reminding everyone of the great responsibility they need to shoulder towards safeguarding the environment in its wholesome for better survival of the self and the future generation. An assembly activity by the intermediate students reflected the need to sensitize one and all towards promoting and sustaining a greener ambience. 1. Parents orientation programme: keeping in mind the need to empower parents teaching XSeed syllabus, we aimed at making learning through XSeed fun learning and easily manageable by the parents too. Orientation reflected that learning for the tiny tots is not mechanical in routine but activity oriented supplementing with sufficient teaching aids. 2. Students awareness Programme: ITC group came forward to enlighten the children about segregation of waste. Students from classes 8th, 9th and 10th reaped benefits. About 50 students from classes 3 to 7 participated in the mass yoga held at B.B.M.P ground and joined hands to uphold the propagation of yoga and its benefits under the yoga instructor Mr. Halappa. This was followed by a spectacular assembly yoga display. The audiences were bewildered looking at the young children performing some extremely difficult Asana. Mr. Halappa gave a talk on benefits of yoga. 17/06/17 witnessed an an elaborate parents orientation program headed by new Principal Mrs. Nanda and the Assistant Secretary sri. Ramakrishna Prasad. They briefed the parents about the dos and donâ€™ts and clarified the parentâ€™s doubts and accepted suggestions for the better functioning of the school. Such interactions bring the school and the community together. 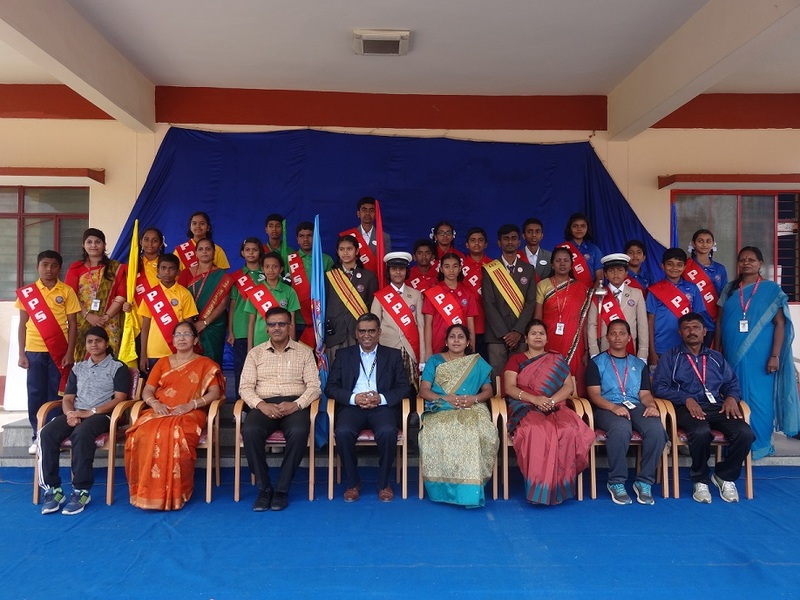 This year Investiture Ceremony was celebrated with refreshed vigor and enthusiasm under the captaincy of Mrs. Nanda the Principal, Mr. Kuttappa, state basket ball player and referee was the chief guest Sri. Ramakrishna Prasad also graced the occasion. Students of class X visited the Madiwala police station on 29/6/17. They gained hands on experience as to how all machinery works in a police station. They were briefed about the different kinds of guns, stun guns, pistol, rifle-their ranges and working efficiency. Wireless mode of communication data recording of culprits and its documentation, how to file a FIR, hierarchy/lineage of police staff in a police station, legal method adopted to file a complaint, time limits to retain an offender/guilty, its progressive procedure, and finally had a look of a cell in the station along with a live culprit. XSeed parent orientation program was held on 1/7/2017 in the KSRP health centre between 9a.m to 11a.m. Members Present: XSeed coordinator Mrs. Preethi Dubey , Mrs. Nanda, Principal, Mrs. Tanuja, Nursery Head mistress and Xseed coordinator and Mrs.Maya former XSeed coordinator, PPS, LKG Parents and UKG new admission parents. Mrs. Preethi Dubey briefed the parents about the different books and what to look for in each book. Through explanation , oral examples and a video show picturising a conventional teaching classroom and XSeed classroom enabled the parents to experience XSeed better. She made the parents understand how XSeed made the children think creatively and not mere cramming of facts, into the head, supplied by the teacher. XSeed triggers their thought process, stimulating them to think and most important of all prepares the children to ask questions. The classes are more oriented towards child centric teaching than teacher centric teaching. She emphasised the fact that children need not be burdened at such a tender age. The numerous visual aids help them to learn fast and retain for a longer time. The children are given ample freedom to express freely, thereby honing their communicative skills. Krishna Janmashtami: On 14th august 2017, Krishna Janmashtami was celebrated with great enthusiasm. The children of L.K.G dressed as Radha and Krishna made a bee line to showcase themselves. Celebrating the Joy of independence: The national flag was unfurled by the 3rd battallion commandant - Shri. Kallappa on 15th august. Our children sang patriotic songs and delivered speeches. A unique and novel initiative: The students of class 9 and 10 participated in a unique and novel activity on 23/08/2017-clay ganesha idol making event. Ms.Lakshmi was the trainer. children portrayed their exceptional talent working with clay resulting in a variety shapes of clay ganesha idols. besides spreading the message to use eco friendly ganesha idols and not POP idols, they had also inserted seeds in the idol so when immersed and this water poured on ground would give rise to a plant. the children throughout were enthusiastic and elated with this dual achievement. Teachers Day celebration in Police Public school: Teachers day was celebrated , yet again, in a unique way. It was jointly celebrated along with Onam.The Chief guest were Sri.Venugopal Rao, M.A. B.Ed.,Head Master (retd) KGF school Kolar, Dr. Boralingaiah DCP South east range, Sri. Nikkim Prakash, Commandant, 9th battallion, Sri.Kallappa, Commandant 3rd battallion, Sri.Nagalingaiah, commandant 4th battallion, Sri.Ramakrishna Prasad, SP State Intelligence and Asst.Secretary P.P.S. The program began with invocation and lamp lightening, Onam song and dance.Sri.venugopal Rao,who himself was a teacher and head master was falicitated. all the guests nostalgically recalled their yore days of schooling and stressed how values,discipline and hardwark enables one to establish success. 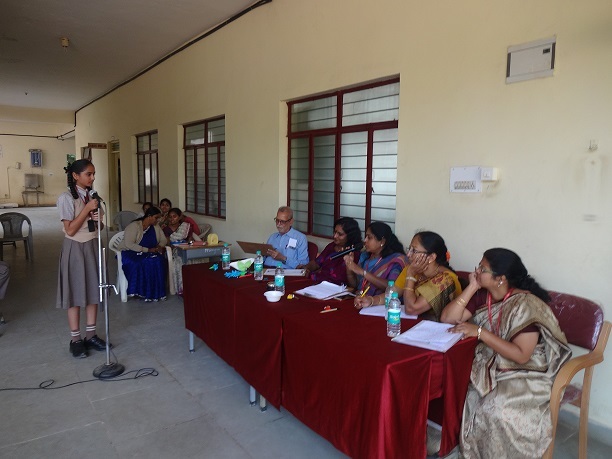 besides games and cultural programmes for teachers, class X students had organised a quiz for the teachers. school had organised lunch and momentoes from the management were distributed to all the staff. all in all it was a neatly executed programme. Saturday 8/10/2017 Shilanyasa ceremony for first floor â€˜Bâ€™ block: October 8th 2017 was a memorable day for Police Public School, Koramangala. On this auspicious day the DG and IG of Karnataka Sri. R.K.Dutta IPS performed inaugural pooja for the 1st floor â€˜Bâ€™ wing. A formal guard of honour was given to the DG-IG. There after the DG and IG Sri. R.K.Dutta IPS unveiled the foundation stone for new block in the presence of Sri.Bhaskar Rao IPS, ADGP KSRP and Chairman PPS, Sri. Charan Reddy IPS, IG KSRP and Vice Chairman PPS. Dr.Thyagarajan IPS, DIG KSRP and Secretary PPS, Sri. Nikkam Prakash Amrit IPS Commandant 9th battalion KSRP, Sri.B.C.Kallappa Commandant 3rd battalion KSRP, Sri.Nagalingaiah Commandant 4th battalion KSRP other dignitaries and staff. After the foundation stone unveiling Sr.R.K.Dutta and all the dignitaries viewed a PPT presentation presented by Smt.Nanda. Principal PPS. This reflected the development and progress of the school. From its inception June 5, 2008 till now, the new initiatives and future initiatives. The extra curricular activities like Prep My Skill, THOT Lab and XSEED Syllabus for kindergarten impressed DG-IG. These activities help children in their personality development and critical thinking. He opined how fortunate the present day children were. Sir nostalgically recollected the memories of his childhood days when importance was given only to academics. He lauded the role of the school in providing quality education to the children of police wards. To make the moment much more memorable, a group photo with the DG-IG, EMC members and all the staff present was organized. Student Police Cadet (SPC): SPC was started in Kerala. The word police is normally associated with thieves, jails, punishment, torch bearers of peace and harmony, traffic controller and what not. Most important of all the police department is concerned about the welfare of the nation in large. Being aware that education is an effective tool in shaping the nation i.e. future India, police force has come forward to invest in education. 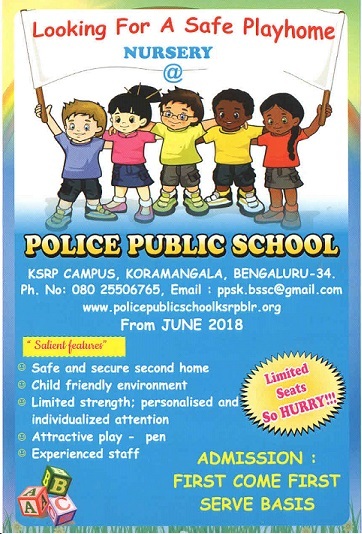 This has given birth to launch student police cadet in Police Public School, Bengaluru. The vision of SPC is character building of students at school level through proactive actions and activities. Children are encouraged to develop and adopt quality ethical principles and behavior that can last beyond the classrooms even after the schooling life and propel ahead successfully. It insist surviving skills and sustains the children in their life.SPC prepares them for life imparting confidence, enthusiasm, life skills. It is student empowerment programme. 44 students 22girls and 22boys, from class VIII have been enrolled this year to SPC. The motto of SPC is we have trainers from the department and one CPO and ACPO from the school exclusively training the children on a weekly basis, comprising indoor and outdoor activities. An Ecstatic Winning: Police Public School, Koramangala hosted an Inter School Quiz competition on 21st Nov 2017. Nine schools participated in the event of which six schools qualified for the finals. Shri.Dr.Boralingaiah. M.B., DCP-South East Division, Bengaluru along with Shri.B.C.Kallappa,the commandant of 3rd battalion KSRP inaugurated and graced the occasion â€“ as Chief Guest who in his short speech encouraged and motivated the students gathering to participate in such events quite often, in order to equip and enhance once thinking capacity. Mr.Kallappa B.C, Commandant 3rd battalion KSRP, Mr.Nagalingaiah Commandant 4th battalion KSRP were also present. The Principal of the host school â€“Shrimati B.Nanda conducted the event-putting forward some intriguing, exciting and challenging questions. It gave the participants some infinite bouncers and pouncers. The quizzing was indeed a testing time for the young minds to rack their brains racing with every passing minute. Whitefield Global School was declared the winners and Mirambika School were the runners up. All the participants were presented with the certificate of appreciation. Trophies were distributed to the winners and runners by the Principal Mrs.Nanda. The annual sports meet of our school was held on 11th December 2017 in the KSRP sports ground. Dr.Thyagarajan,I.P.S,Incharge D.I.G,K.S.R.P and Secretary ,PPS was the Chief Guest for the Inaugural function and inaugurated the sports meet. The National Level athletes Master.Yaseen, Miss.Dale, Miss.Geethanjali and Master.Muheez were the torch bearers .There was march past by the four houses namely, Shraddha, Karuna, Medha and Pragna. Track events were conducted and the day was filled with exciting victories. The true spirit of sportsmanship was upheld. After the studentâ€™s events, the parents and staff members also participated enthusiastically in the events scheduled for them. The chief guest for the closing ceremony was Sri. Charan Reddy,I.P.S,I.G.P,K.S.R.P and Vice Chairman, PPS. The winners were awarded with trophies, medal and certificate in the respective categories-track events, best performers in team events and individual events by the chief guest. The chief guest stressed the importance of sporting spirit, in his speech. The exciting day ended with a cheerful note, filled with promises for all the young sports enthusiasts. The annual day function of Police Public School, Bangalore was organized on 23rd December 2017 with great enthusiasm in the school premises. The entire school participated whole heartedly towards the success of this grand event. The panel of dignitaries consisted of the Chief Guest, Dr. Ali Khwaja, B.Tech (IIT) MIE,MIIM, Ph.D, Counsellor , Columnist, Life-Skills Coach, Sri.Bhaskar Rao, I.P.S, A.D.G.P, K.S.R.P, and Chairman, PPS. Dr.K.Thiyagarajan, I.P.S, D.I.G.P, K.S.R.P, and Secretary PPS. The Asst. Secretary, The Principal and the students of PPS greeted the dignitaries and escorted them to the dias. The function began at 5.30p.m. With an invocation song sung by the choir group followed by the auspicious lighting of the lamp by the esteemed guests. 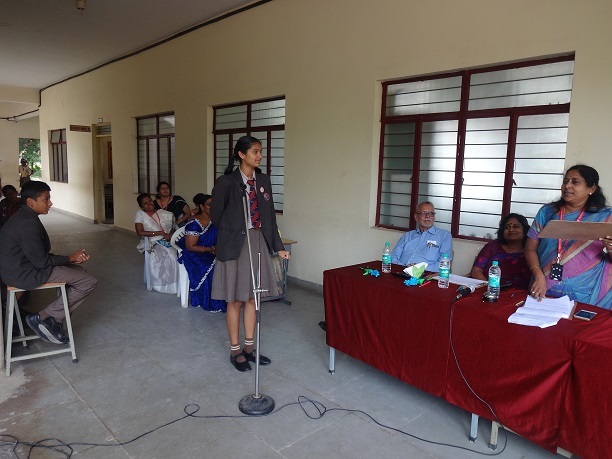 This was followed by the welcome speech delivered by Ms.Parva the Head Girl. Principal Mrs. B. Nanda extended a warm welcome to the dignitaries and presented the annual report highlighting the achievements of the school and the students in the academic year 2017-18. The prize distribution ceremony was a moment of pride and honour for all the winners and achievers of school. Students received prizes for their wonderful performances and achievements in curricular and co-curricular activities. The toppers of grade X CBSE Examination, 2017 were felicitated and awarded a cash prize of Rs. 5000/-each.the teachers teaching various subjects in grade X were also honoured with members for their untiring efforts and excellent team work. The Chief Guest, Dr. Ali Khwaja released Jagruthi, the school magazine of the academic year 2017-18. The audiences were enlightened with the motivational and inspiring speech of the distinguished guests. The vote of thanks was proposed by Raj P.K., the Head Boy of the school. The evening was made more colorful with the cultural programmes which was based on the theme â€œUnity in Diversityâ€�. Every class gave performances with grace. The event closed with a grand finale celebration which depicted the tradition and culture of Karnataka. It was indeed a spectacular display of talent and fervour.